In an office setting, your biggest concern may be keeping employees from developing carpal tunnel or a bad back. When you’re managing a construction crew on the other hand, you’re tasked with avoiding serious injuries. From keeping their ears safe from loud noises to handling radioactive materials to operating huge machinery, construction workers have unique concerns. The United States Department of Labor has a division that helps regulate the training and safety requirements of many professions, including construction. The Occupational Safety and Health Administration (OSHA) offers guidelines for training and education. In order to remain compliant with OSHA and reduce the accidents, you’ll need help organizing your training. Once your new hires pass pre-employment background checks and get drug testing for employment, you should immediately set them up with a training schedule. Of course, it doesn’t end there. Current employees need a lot of ongoing training to remain compliant and avoid accidents. Ladder training: If your employees will be working on ladders, you must train them regarding associated hazards. Ladder load limits, proper procedure for placing a ladder and other safety tips can prevent falls. Flammables training: Construction work that requires the use of flammable materials requires its own training. All employees must be trained in the associated hazards and how to properly handle the supplies to avoid injury. First aid: Your workers should know how to handle first aid for everything from minor cuts to contact with hazardous plants and animals. Powered industrial trucks: Any employee operating an industrial truck must be trained on how to safely drive it and then pass a formal evaluation. OSHA also mandates the warnings and labels placed on the truck for the employees’ benefit. Other OSHA compliance rules pertain to things like open vent tanks, scaffolding erection and working with lead. Not only do you need to train new employees, but you must keep your current workers up to date when compliance rules change. And some trainings, like the one related to occupational noise exposure, must be repeated annually for all affected employees. 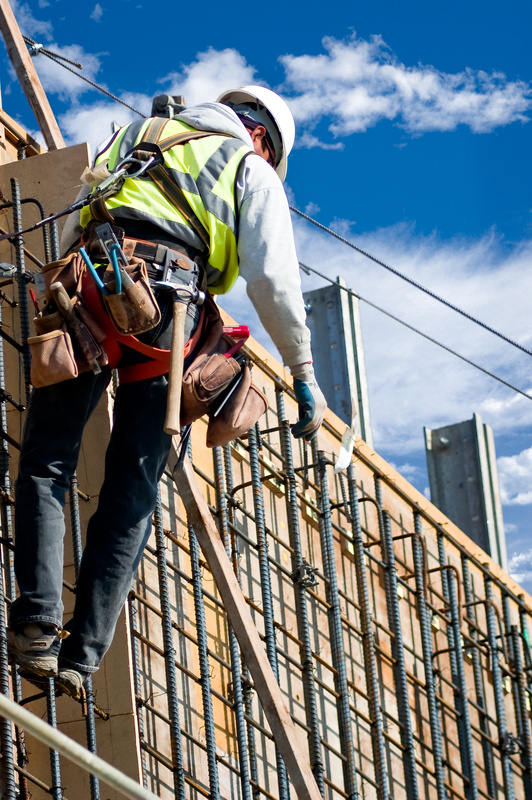 Falls: Accidental falls account for 38.8 percent of all construction deaths each year. Struck by object: Being struck by a falling object results in 9.6 percent of annual construction site fatalities. Electrocutions: Live wire accidents cause 8.6 percent of deaths on construction sites. Caught-in/between: Sometimes workers get caught between heavy construction materials or structures. This causes 7.2 percent of construction-related deaths every year. Need help keeping your construction crew compliant? Origin can help. On top of being one of the top drug testing companies and background screening companies, we facilitate crucial training programs. Let us help you keep your workers safe, compliant and happy.